Please join us in Palm Beach where we will be exhibiting at the Palm Beach Jewelry, Art and Antique Show, at the Palm Beach County Convention Center, 650 Okeechobee Boulevard, West Palm Beach, FL. 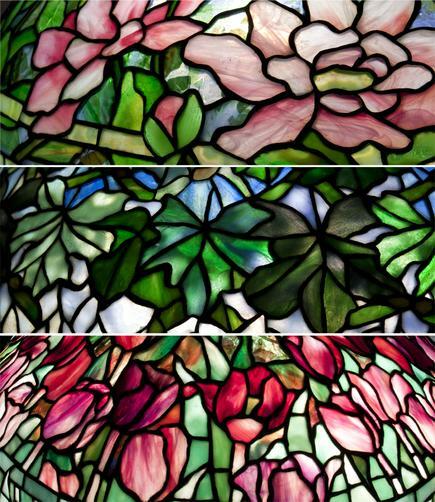 On display in our booth will be an impressive selection of works by Tiffany Studios, included exceptional examples of leaded glass lamps and favrile glass, as well as work by Albert Paley, Wendell Castle, George Nakashima, Phil Powell and more. To obtain a complimentary pass for two to the show, please click here to visit the Palm Beach Show's website to enter your information. Your pass will be e-mailed to the address you provide and is valid for the duration of the show. You will find us in our usual corner booth, # 1100. We hope to see you there. For directions to the Palm Beach Convention Center please click here. For more information about our upcoming exhibitions please click here to visit our Exhibitions page.